Deep in the forest of Karnataka there are some pristine spots, largely untouched (yet). Jogi Gundi is one such lovely waterfall tucked in the wilderness of Agumbe. The Jogigundi Falls is located around 3 km from Agumbe. 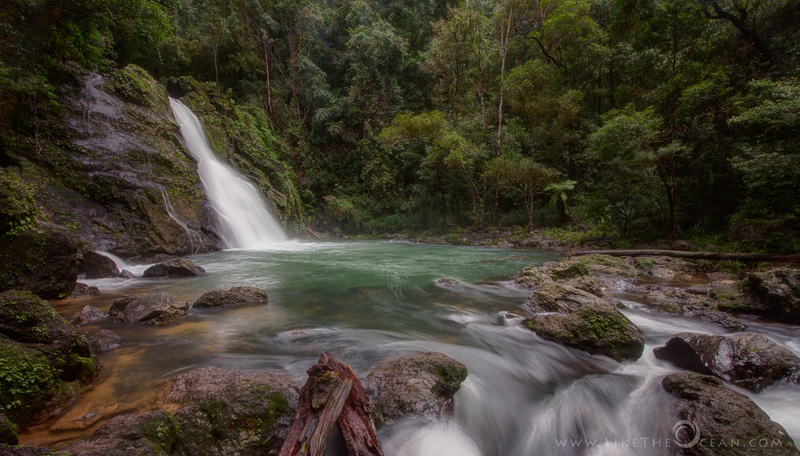 Situated on the way to the Barkana Falls, it can be reached by a small trek of around ~500 mts. When the conditions are right, you can also enjoy swimming in the turquoise green water. Even during the monsoon time, water was inviting and pretty refreshing from the afternoon heat. Be advised and cautious. This is a rain forest. You are entering the habitat of the wild. Respect their place & space. Leave only foot prints and carry back all that u carry in, along with some lovely pictures & memories!